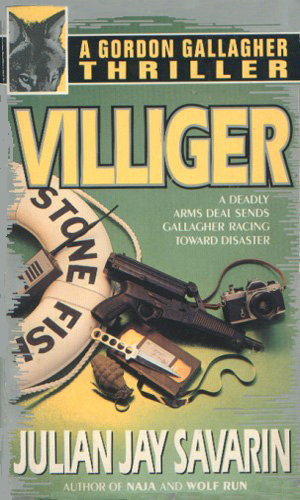 Gordon Gallagher is an agent for the British Secret Service. He is the son of a beautiful Jamaican woman and an Oxford don. He was raised in the U.K. Though through his father he had entry to the middle class, his mixed blood was the draw for much turmoil and many fights with other kids. He quickly learned how to handle himself and he gained considerable self-reliance. He joined the Royal Air Force as soon as he was old enough and became a fighter pilot with a well-respected reputation. After leaving the service, he was recruited by a branch of the British Secret Service, known as the Department, for which he worked for several years. As his cover, he learned photography and became good at it. Now as the series begins, he is 34 and has decided he has had enough putting his life in danger and taking the lives of others and has retired from the Department to begin a new life as a photographer. This new career takes him to many exotic places but that just makes him seem even more available to the Department who will not let him go and always find a way to force him into service. Also reluctant to let Gallagher retreat from the action are the numerous enemies he's made in his job. Gallagher is described as a man who just exudes leadership, a trait he is not unaware of but does at times regret as it means he is often put in charge of things he wants nothing to do with. Even those who find themselves on the opposite side of him give him begrudged respect for it is easily to learn just how good he can be when his back is against a wall. The hijackers freed the crew and economy class passengers, keeping only the first class travelers. Then they ferried them unconscious to the outback of Australia for a hideous game. It was Gallagher's misfortune he had chosen that time to use a complimentary first class ticket. It was the misfortune of the hijackers, too. When his love is killed by a sniper's bullet, Gallagher is determined to find not only who pulled the trigger but who gave the order. It takes him through Europe and into Africa as he learns hers wasn't the only death involved in a mad global scheme. Hidden in the Arctic, the Soviets are testing a new plane with deadly capabilities. 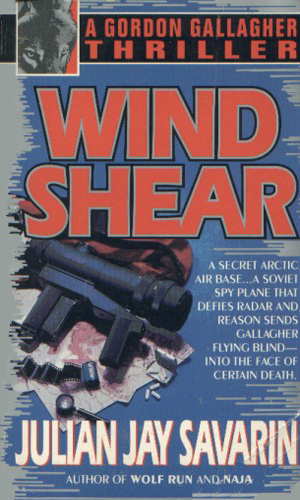 Oddly, a secret group inside the KGB called Windshear want the test stopped. The SIS learn of both and unfortunately get between both. 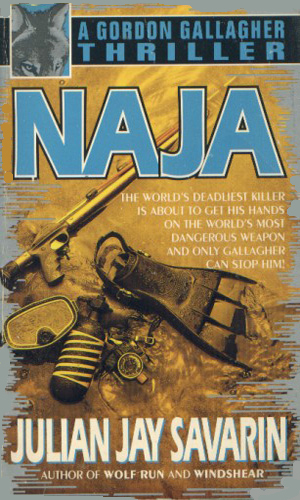 Naja was a master of disguise and a genius at killing. Gallagher would have had no interest in stopping such a man until the beautiful Rhiannon became a possible target. At that point, Naja became a target himself. The list is a complilation of the names of members of a very secret group within the KGB. 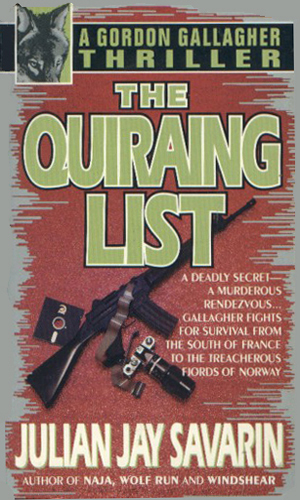 These deadly people think that Gallagher has this list and they want it back and him dead. Meanwhile, the Department won't let Gallagher just go - there is always just one job more to be done. 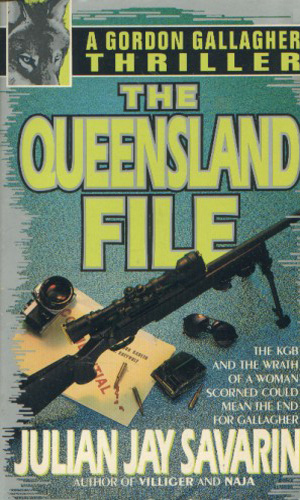 A South African arms dealer, thought dead in the outback of Australia, is alive and scheming in Amsterdam. He needs Gallagher to help complete a vital deal that could make him a ton of money but could also be the start of a new world war. The past is quickly catching up to Gallagher. 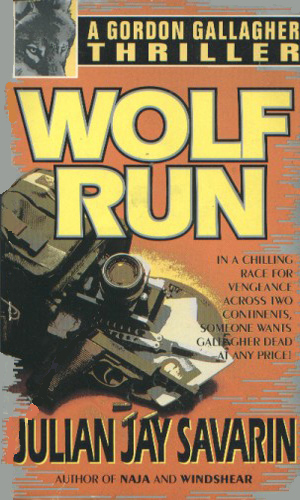 While trying to protect a beautiful journalist hunted by a killer, Gallagher again meets up with his KGB nemesis who seems to need his help. 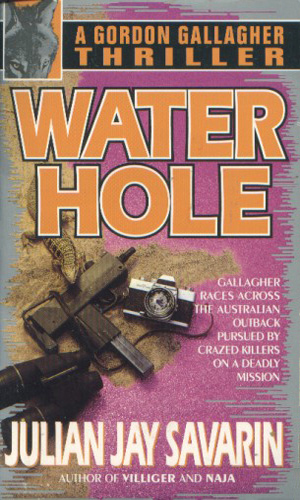 The action takes Gallagher back to Australia and the luscious Marika who wants revenge more than life. When I first started reading the adventures of Gallagher, I was drawn by the fact that this was a human being, not just a killing robot. In the first tale, he is reeling from the betrayal by his beautiful wife, having seen his world collapse. As time goes on, he continually finds himself giving his battered heart to other women, usually with disaster waiting for him. Additionally, when he witnesses the cruelty his adversaries are capable of, he is sickened and disgusted, making him an even more deadly opponent. The author, Mr. Savarin, does not dwell on any of these too much but the words he uses to describe them get the point across and he moves on, keeping the action going. That is the mark of a good writer.